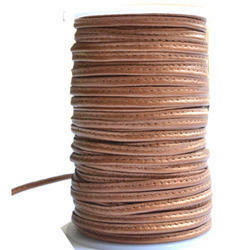 We are one of the leading manufacturer, supplier & exporter of Leather Cords. 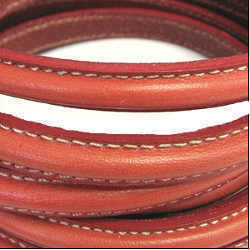 With the help of our distinguished professionals, we have been able to bring forth Stitching Leather Cord. The range we bring forth is designed and manufactured with precision under the guidance of adept professionals. These team members also make it a point that premium quality leather is used while manufacturing the same so as to be sure of their optimum strength. 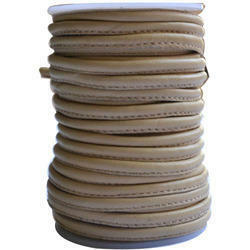 We are indulged in manufacturing and supplying wide gamut of Stitched Nappa Round Leather Cords. Available in different designs, these products are widely demanded all across the nation. Apart from this, our wide distribution network enables us to deliver all these products at customers’ door step within the committed time frame. 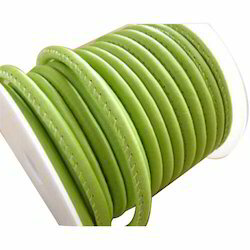 Owing to our vast manufacturing facilities, we are able to manufacture and supply high quality Napa Outside Stitching Leather Cord. All the trophies are designed and manufactured under the supervision of expert professionals. These products are also stringently tested by expert quality controllers on certain well-defined parameters to assure flawlessness. 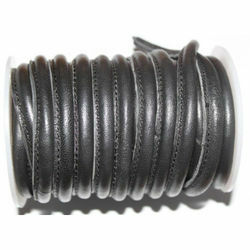 We are counted among the leading manufacturers and suppliers of a wide array of Stitched Nappa Leather Cord. All the products are designed and manufactured using premium quality leather that is procured from the certified vendors of the market. Furthermore, we make use of quality packaging material to pack all our offered product line. 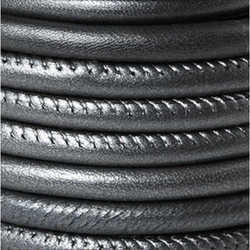 Looking for Leather Cords ?